Since the 1950s, karate has exploded in popularity the world over. 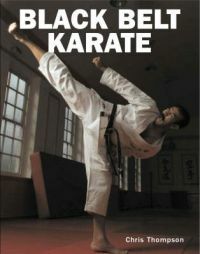 Initially developed for self-defence, karate is now practised for many other reasons - fitness, discipline and general wellbeing amongst them.This book is for people who have mastered the basics, but want to develop and improve their skills and techniques so that they can progress to a higher level. There is a generally accepted progression of learning - stance, balance, co-ordination, form, speed, power and reflex. This book looks at these aspects and shows the practitioner how to hone their skills and make their training and sparring more effective. There is also a section on competition karate. Chris Thompson is extremely well-connected in the martial arts world and is the Technical Chairman of all karate in the UK, as well as Technical Director of the karate governing body, the British Traditional Karate Association. He is chief instructor for the UK, Norway, Spain, Ireland and the US and has written several books about martial arts, on karate in particular. by Sadanand . K, Sethi J., Jindal D. V.